Got hype? Hard on its way towards being the longest-running movie franchise in lame plot history, a new installment of Fast and Furious is hitting screens later this month with continued support from Dodge and their tuning partners at SRT. Perhaps no other film franchise in history has contributed to the delinquency of street rod wannabes more than has the Fast and Furious film series. Later this month, a sixth installment of the plot-dereft movies will hit cinemas in the United States and to help promote that, Dodge and their tuning shop Street and Racing Technology (better known as SRT) will be helping build the hype. The film series from Universal Pictures features cars doing things even stunt men on closed courses refuse to do while actors with dubious skills at their craft spew lines that are occasionally humorous, but usually just robotic. 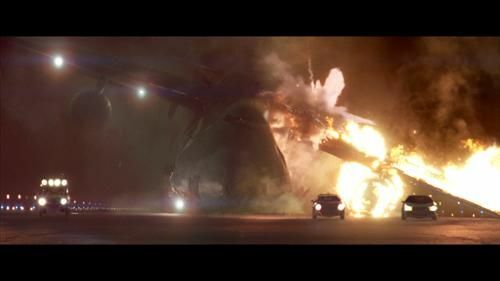 A heroine will be in danger, a hero will be put into a near-death situation (several times), director's cuts will be released on DVD, and just to mix things up and make this film original from the other five.. an airplane will explode in flames as cars race it down a runway. This time around, the main character's car is a 2012 Dodge Challenger SRT8 and 2012 Dodge Charger SRT8 so that a product placement can make up for the fact that nobody makes money when he drives a 1969 Dodge Daytona on screen. This being a movie, of course, most of the stunts involving the Charger will mean that Charger's demise, so ten of them are used in the film. That's not all, though. Dodge will also be running Dart commercials to promote their continued role in the film. Continuing their "How to" theme, this time with a F&F twist, the first 2013 Dodge Dart commercial tie-in is titled How to Make Your Car Fast and Furious. It, of course, has absolutely no real how-to information and instead features a Dart doing things that will definitely void your warranty. As Chrysler puts it in a press release, "..viewers will be inspired to drive like they’ve never driven before." Of course, the fine print at the bottom will allay any hope of hiring an attorney to sue when you do actually do that and end up in traction. Other commercials will include the Flash to the Future dealer-branded commercial which local dealers will air in their own names. This one features a 2013 Dodge Charger and has a potential customer sitting in the car, adjusting the rearview to reveal a Fast & Furious 6 poster, then grasping the wheel and being transported to a scene from the movie. This, like the commercials featuring pickup trucks hauling insane amounts of cargo over Afghanistan-like terrain and being driven by muscular dudes in flannel is supposed to instill Joe Public with the idea that his vehicle of choice is capable of being way more awesome than he is and will make up for his pattern baldness. If all of that isn't enough, there will also be a video game later this spring. You can start limbering up your thumbs now. Nothing makes a crap movie into a blockbuster better than a huge hype machine with lots of tie-ins. No word yet on whether it will be Burger King or McDonald's with the toys.